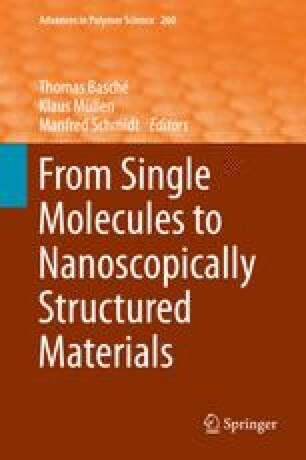 This chapter describes macromolecules with a complex structure, their defined aggregation in solution, their adsorption to surfaces, and their possible aggregation on surfaces. The term “complex structure” implies that the macromolecules show different, distinct structural elements or building blocks on a supra-atomic length scale. Key to understanding the complex structure of macromolecules, their aggregation, and adsorption to surfaces are intra- and intermolecular interactions such as van der Waals, electrostatic, π–π interactions, and hydrogen bonds.